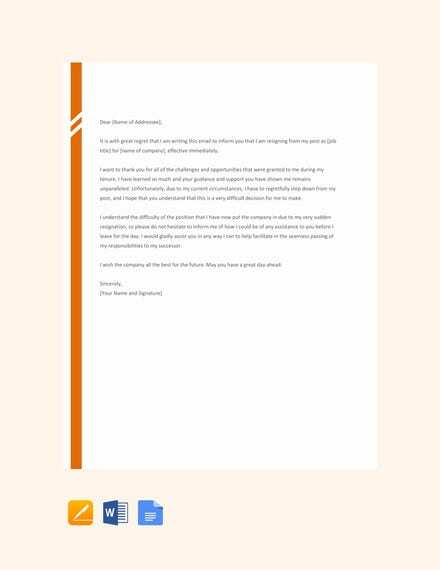 Notice period letter templates along with Complaint Letters and Disciplinary Letters, easily available for download on the internet, save the department the trouble of having to write a letter of termination every time they need to lay off an employee. 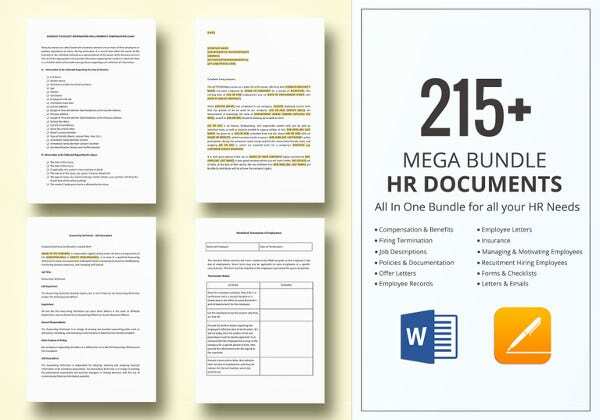 They are easily customizable and contain what the department may require in order to draft a letter as per the usual labor laws when it comes to termination of services. Notice period letters may also put the employee on leave which might be temporary. In that case there are specific templates that are worded in such a manner. Whatever the reason, the department is bound to find a template that fits the reason it wishes to either suspend or fire the employee. 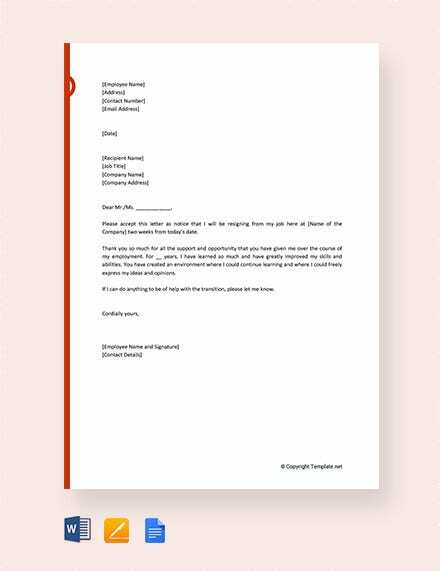 See this Appointment Letter Templates. 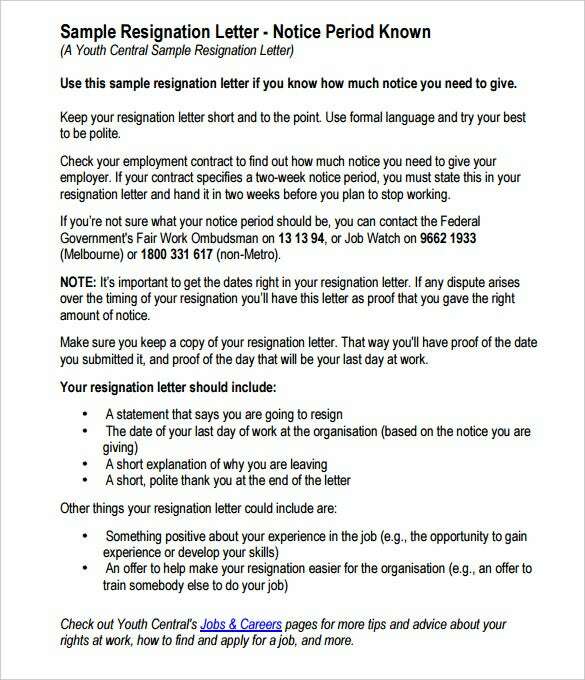 Why Is A Notice Period Letter Important? 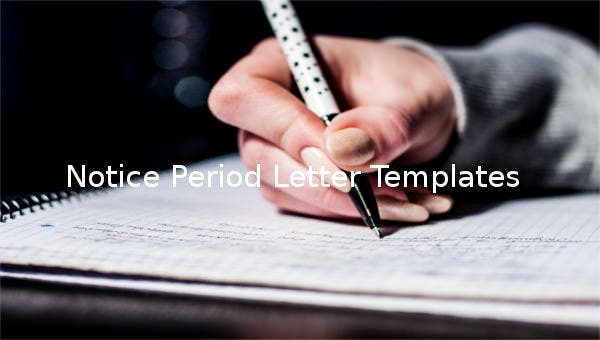 Creating a notice period letter is complicated, and that is why you should simply look up notice period letter templates online for format of notice and save both time and energy! So what are you waiting for? 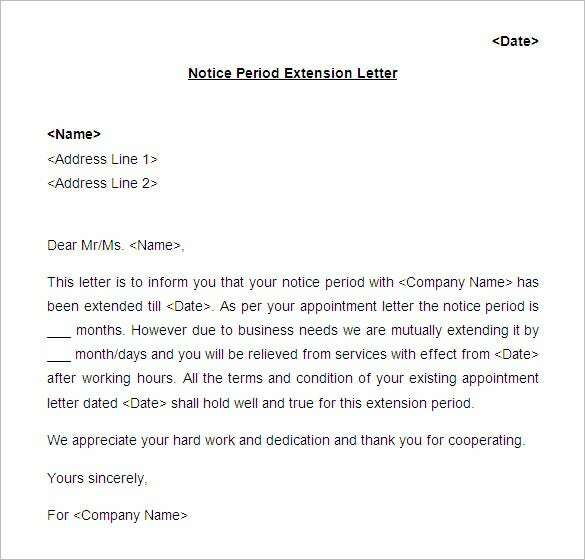 If you have been given the responsibility of creating a notice period letter and are not particularly sure about the format, just look up some great notice period letter formats online! 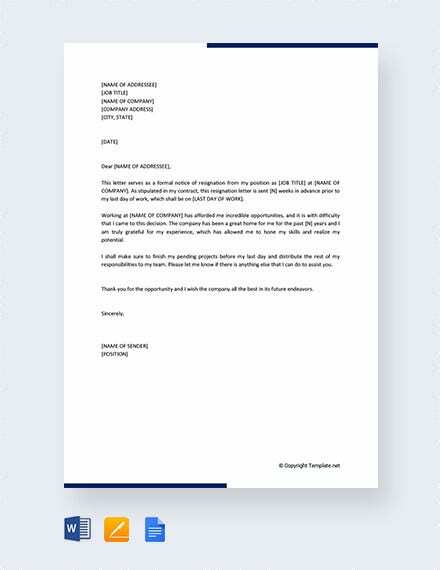 If you have been looking for the format for resignation letter with notice period, then you can rest assured. 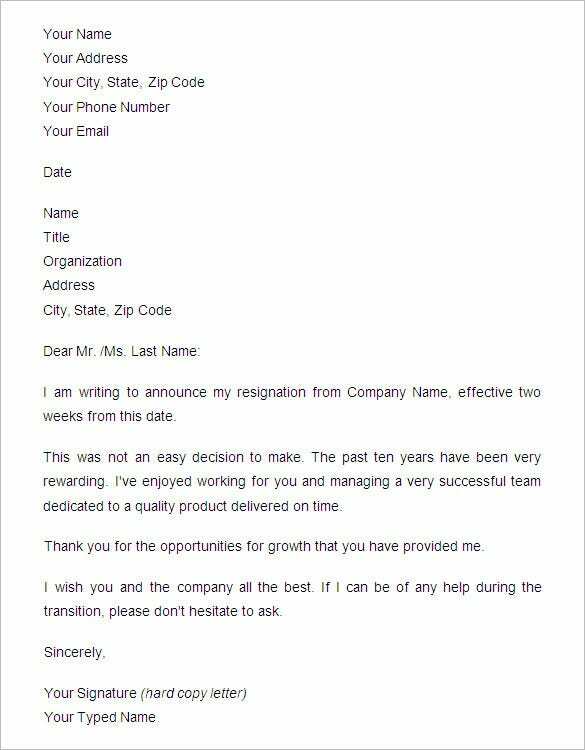 This would a great way to resign from your company. 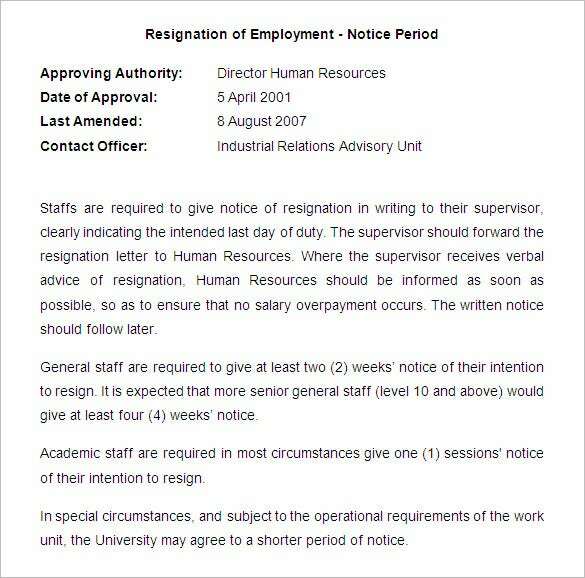 You can state your notice period and conditions of your resignation in the template itself. 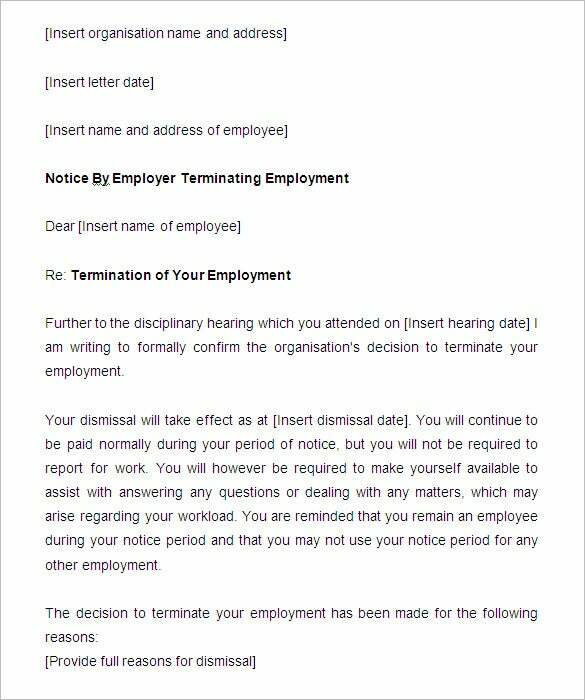 Some employees get a 2 weeks notice period while resigning from a company or while being dismissed. In that case, this is the perfect template for you. 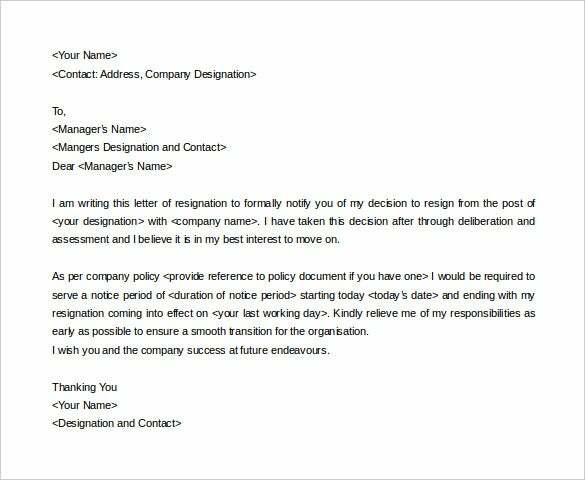 If you are resigning from from your company, then you can take the help of this job resignation letter with two week notice. Nowadays, emails have made our lives much easier. Resigning from your place of work can be an awkward experience, and facing senior colleagues can be intimidating. 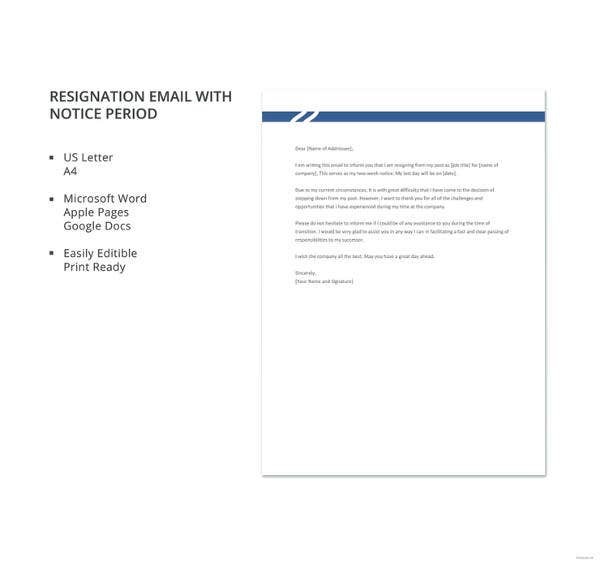 You can avoid all that if you simply download this resignation email with notice period. It has been designed specifically for this! 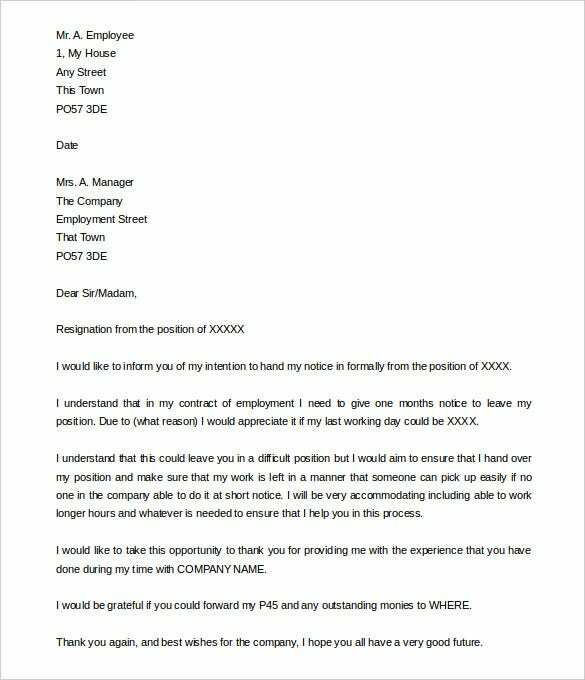 A resignation letter should be kept simple and short. It should be compact and have brevity. If that’s what you’re looking for, look no further. 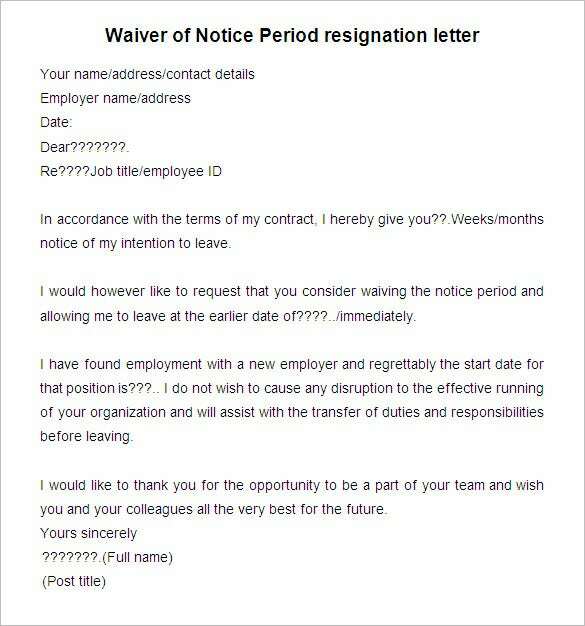 This simple resignation letter is perfect for you. Just download it and edit the details. 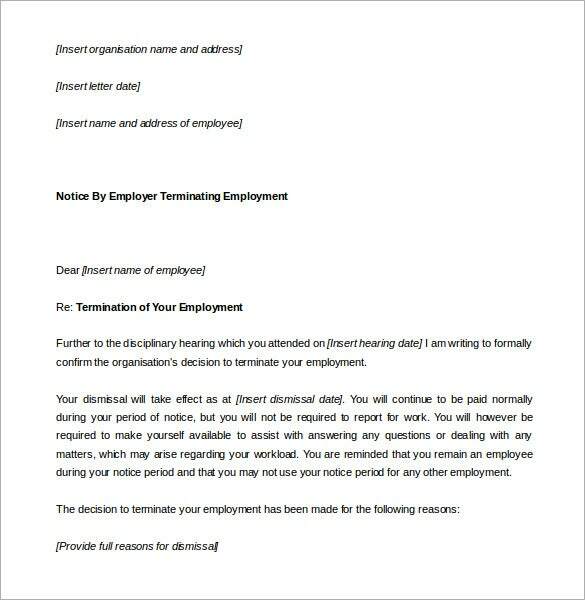 If you are resigning from your company, you must provide a notice period so that your company can look for a replacement. 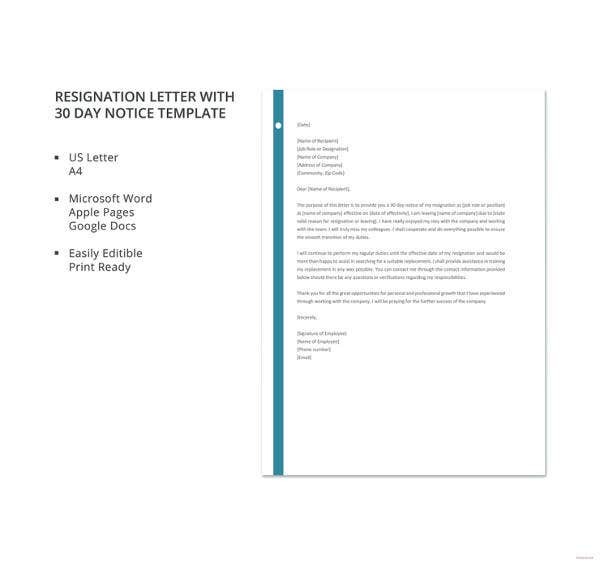 In order to do so, you can simply download this resignation letter with two four notice. It would make your job much easier! 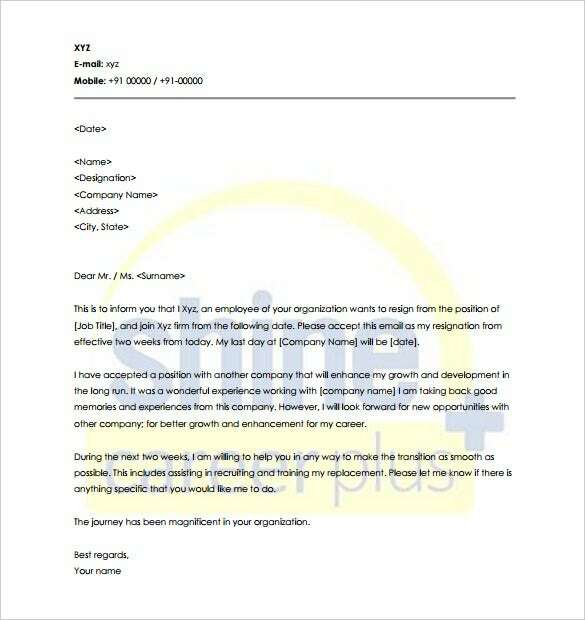 This is the perfect example of a resignation letter sample with notice period. 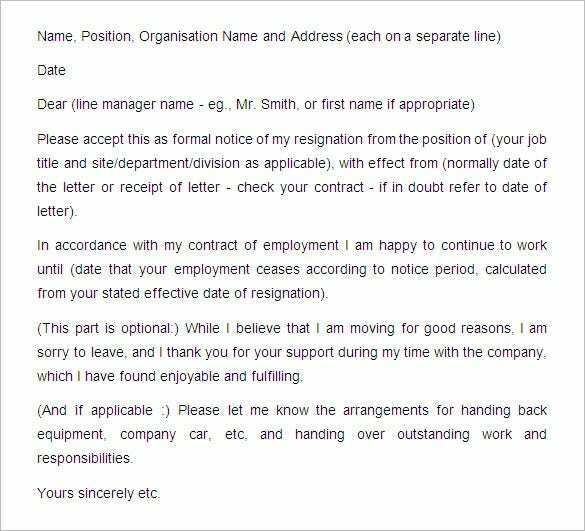 If you are planning on resigning from your company, you could download this template and just edit the details. All you have to do is insert your own details and you’ll be good to go. 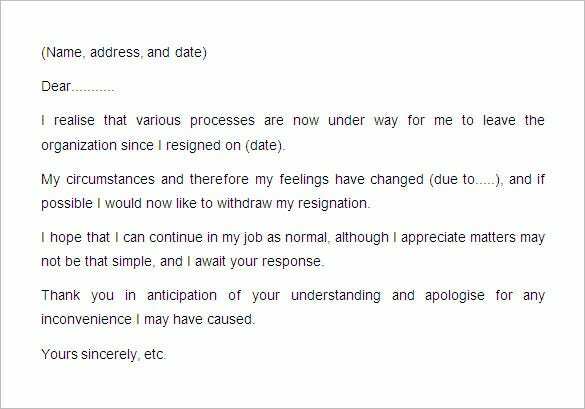 This intimation letter for resignation is perfect if you are looking for a notice period letter that states your message accurately in a smart and professional way. So what are you waiting for? Just click on the download button! 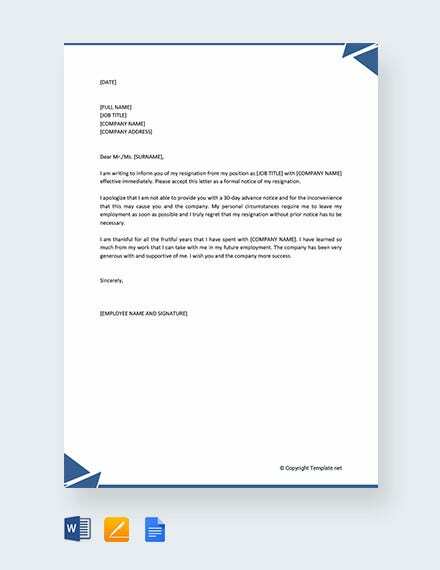 Looking for an intimation letter format? Then you must take a look at this amazing template. You can download this template and edit to fill in your details. 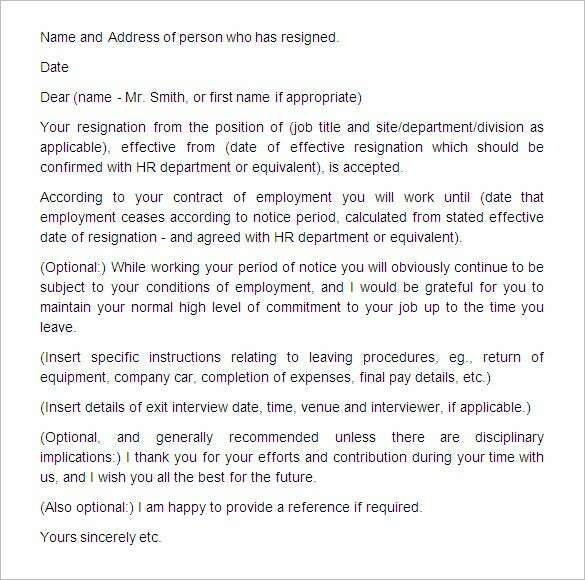 You can state your reasons for resigning, and also include a short, polite message at the end of the letter. Writing a resignation letetr with notice period can be tough and tiresome. Instead, you can just download this template and make your job much easier for you. After all, what could be better than getting a notice period format, all ready to edit! You can use this template for a number of reasons. 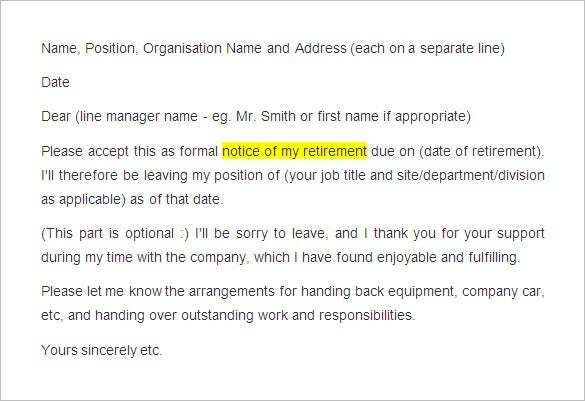 If you’re retiring, you could use it state that in the letter. Or, if you want to extend your retirement, you can use this as a retirement extension letter format as well. Just download and customize! 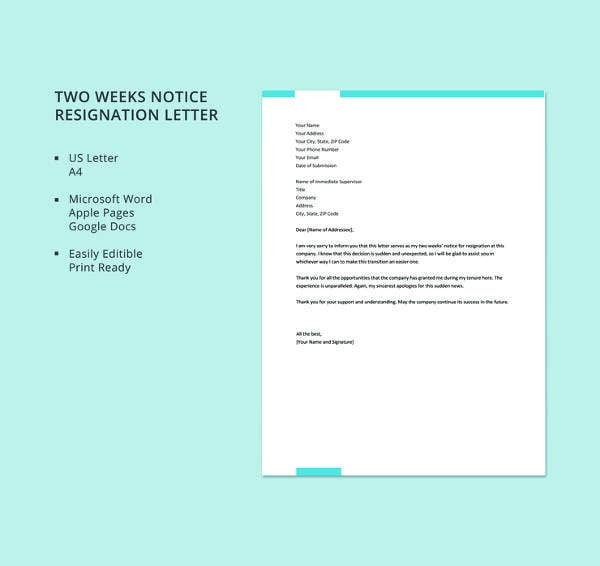 Looking for ways to pen down your resignation letetr format with notice period? No need to worry, just download this template. It contains all the details you could possibly require in your resignation letter. Writing a resignation withdrawal letter? Well then, you have found the perfect template. It conveys your message in very simple and exact terms and thus avoids any chances of confusions. Isn’t that precisely what you want? The best part about this notice period letter sample is that it states the most important details at the top. The date of approval and the notice period are stated at the beginning, and there is sufficient space below for a short explanation as well. Beginning from the fonts to the individual paragraphs, you can be sure that most elements of such templates can be modified.. If, for example, the department does not feel the font looks professional or that it does not suit their tastes, then it can be formatted very easily. The Letter Templates are available as free – samples that the company can store for further use. While writing the notice period letter to employee, be precise and exact. 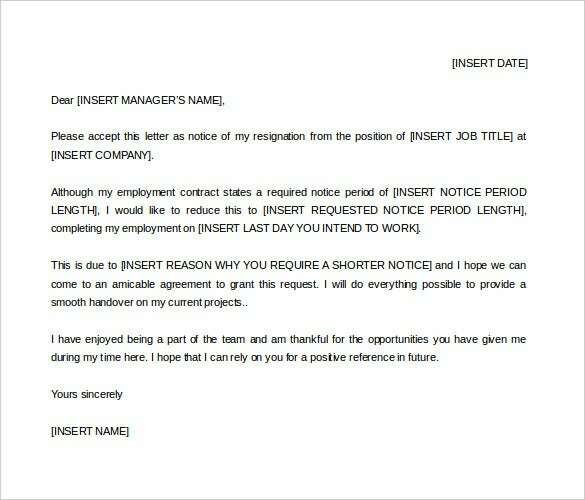 Do not beat around the bush; a notice period letter is all about brevity. You must keep it simple and short, and make sure that the message is conveyed. The date is the most important part of a notice period letter. The last working day must be mentioned in the very beginning. Different employees get different notice periods, based on their time at the company. Keep that in mind while writing. A short explanation will be appreciated in a notice period letter to boss. It is just a formality, and you can resort to the templates for this. If you aren’t being able to find the right words, a sample could help you out. You must keep the contracts and legal issues in mind while writing. 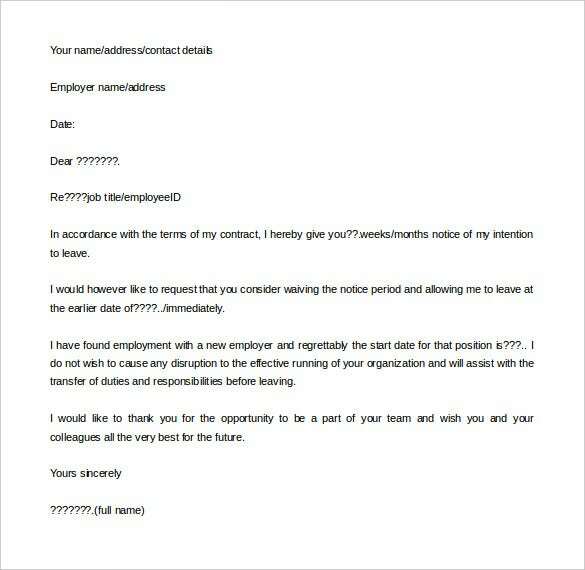 Each employee has a unique contract, and your notice period letter must be written only after thorough research. 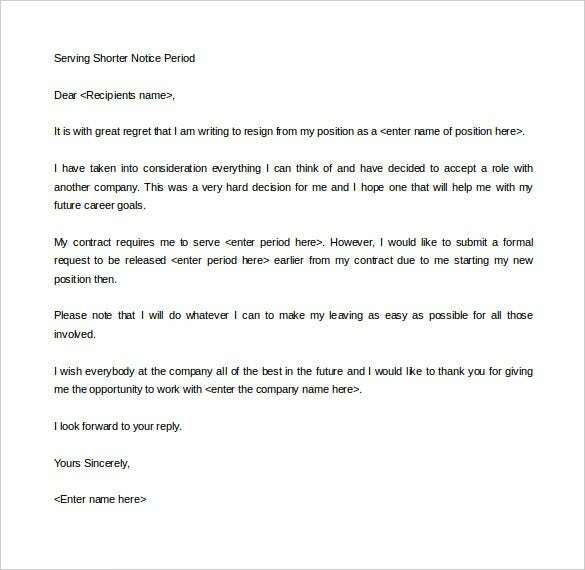 At template.net, we know how important your notice period letter is to you. That is why we have come up with splendid designs and you can choose and download any one of them! So, let’s get started!